Consumers and businesses are affected by illegal robocalls every day. These calls are the junk mail of the telephony world. But they are more than a mere annoyance. When examined at scale, the net negative impact shows robocalls are disruptive to citizens and drain profits from businesses that rely heavily on phone calls. How do we know this? Our company, Marchex, helps national and local businesses track how well online advertising campaigns work by measuring phone calls generated from these ads. To do this, we have to effectively identify and remove robocallers that would otherwise distort results and slow down business for companies. Our technology employs the principles of battleground tactics – to stop the enemy, we must understand its weaknesses. Robocallers, first and foremost, fail simple tests. Many fail automated tests where they are asked to perform a simple task, e.g. “Press 1 to connect to the business.” And almost all robocallers are quickly identifiable to people, resulting in hang ups. 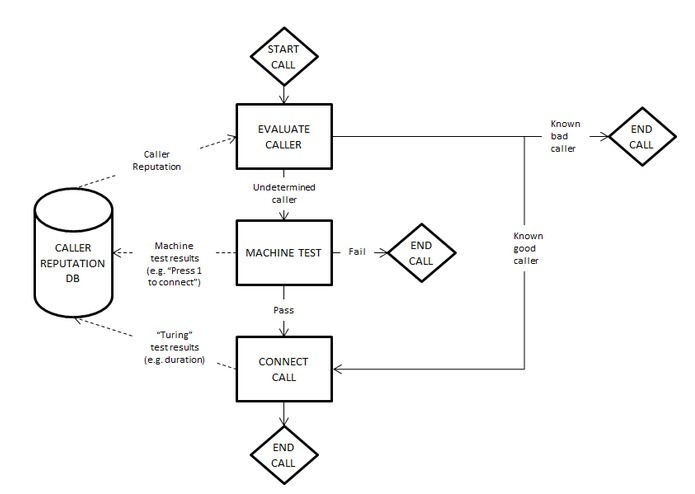 In practice, millions of Turing tests are performed every day as robocallers reach people who then hang up as soon as they detect a machine. 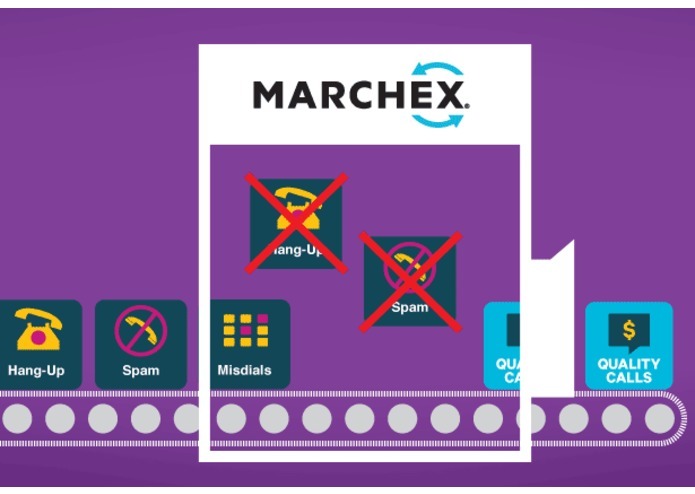 So Marchex devised a solution that works like this: Incoming phone numbers are tested by placing an automated voice-response system on a call before it connects. If the call goes through, we look at how the caller reacts by measuring duration. If the caller repeatedly fails voice-response tests or can’t keep people on the phone, then we have convincing evidence that these are likely robocallers. One of our most significant functionality upgrades took place this fall, when we invested in better whitelisting of specific phone numbers. All of the above happens automatically, without any involvement from consumers.